This dartboard is fun for all the family. 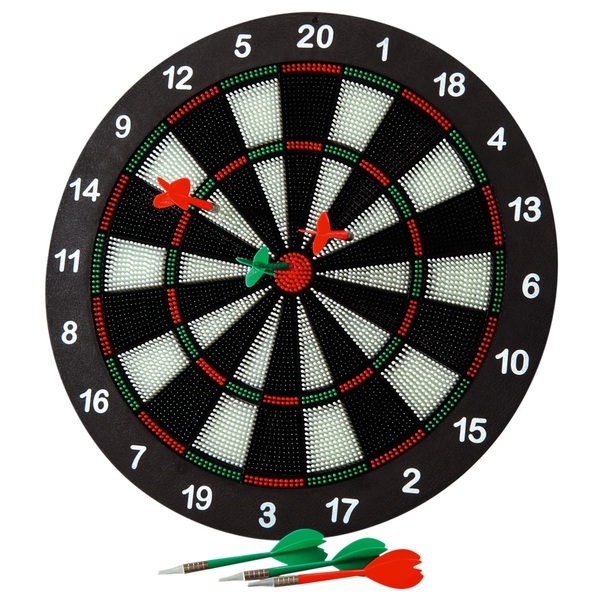 Non-marking darts allow the board to be used almost anywhere. The board can either be hung or propped up on a flat surface using the steel stand provided. Fun for all the family!